Two useful new twitterbots. 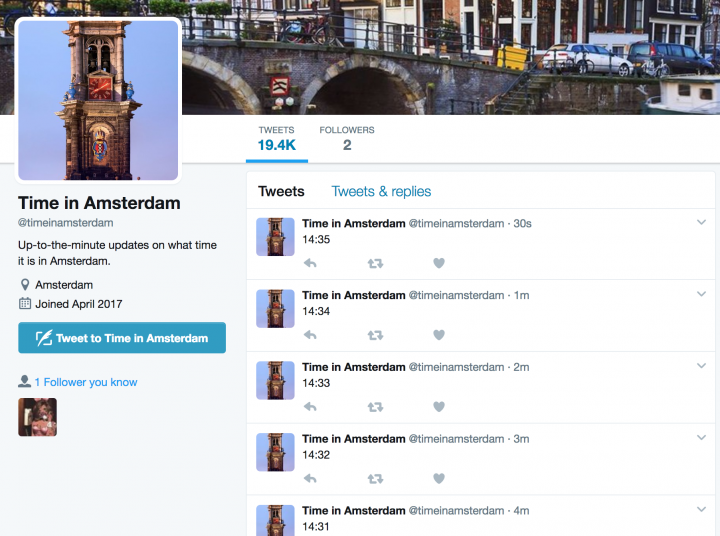 One tells the time in Amsterdam, where I live. The other is for my friends back in the Pacific time zone, it tells the time there. 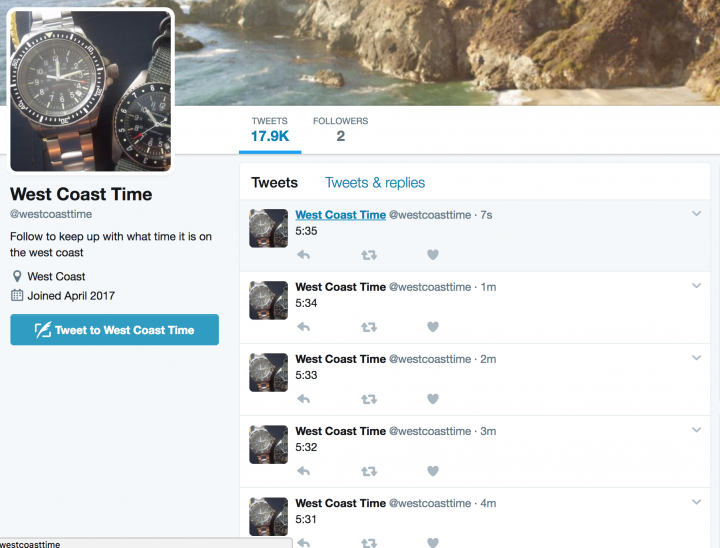 Follow along for up-to-the-date info on what time it is.